Our display cases are the perfect way to showcase your piece of Starwars history. 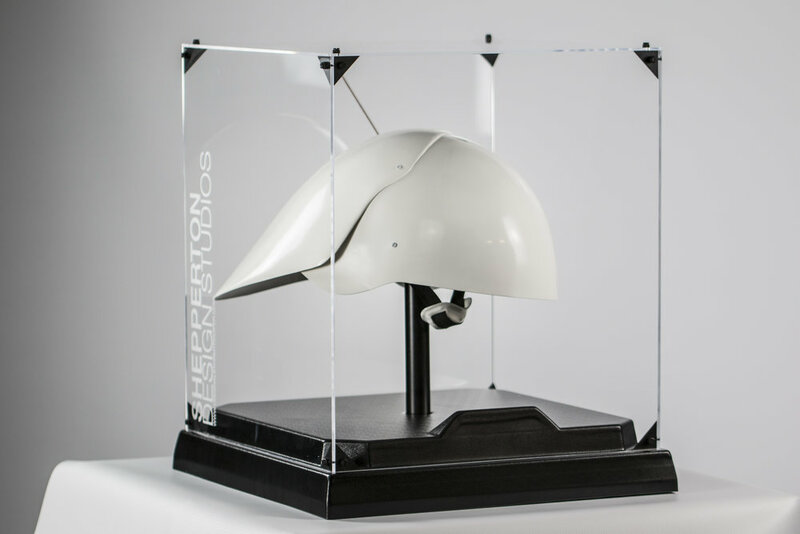 We have displays to fit every size of helmet and one that can incorporate an entire bust. 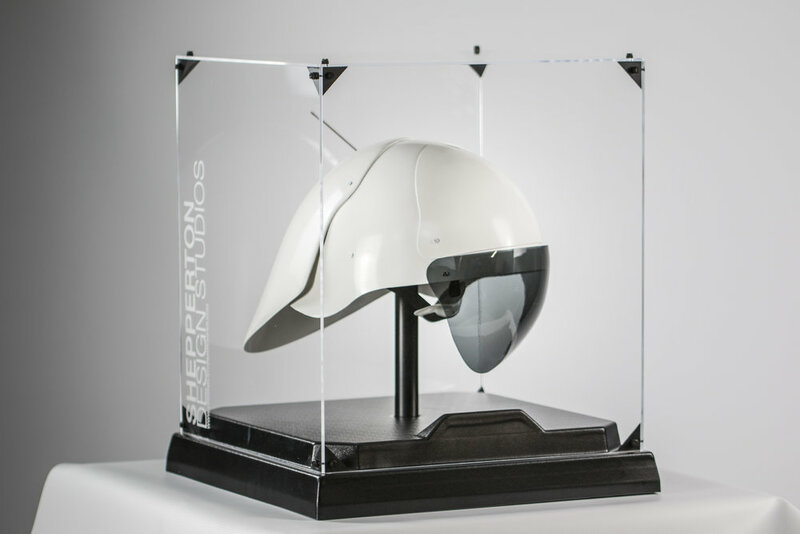 The displays are laser-cut perspex and sit a moulded base made using the same process that we use to form our helmets! From left to right: E11 Blaster Display, Small Display, Medium Display, Large (Bust) Display.